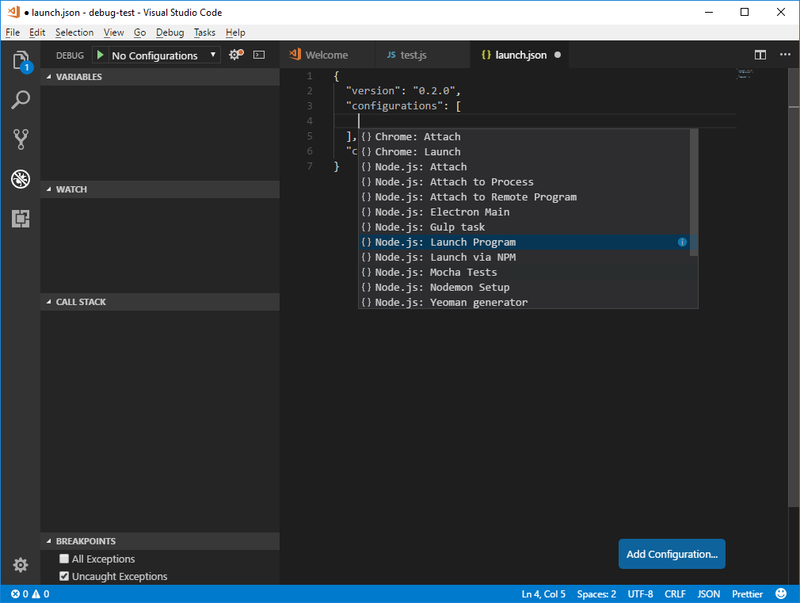 You can step now through the code, view variable contents hovering over the variable names in your code, watch variables, ... (see all possibilities in the Debug menu). You'll see that a debug toolbar is active at the top with the usual debug icons. 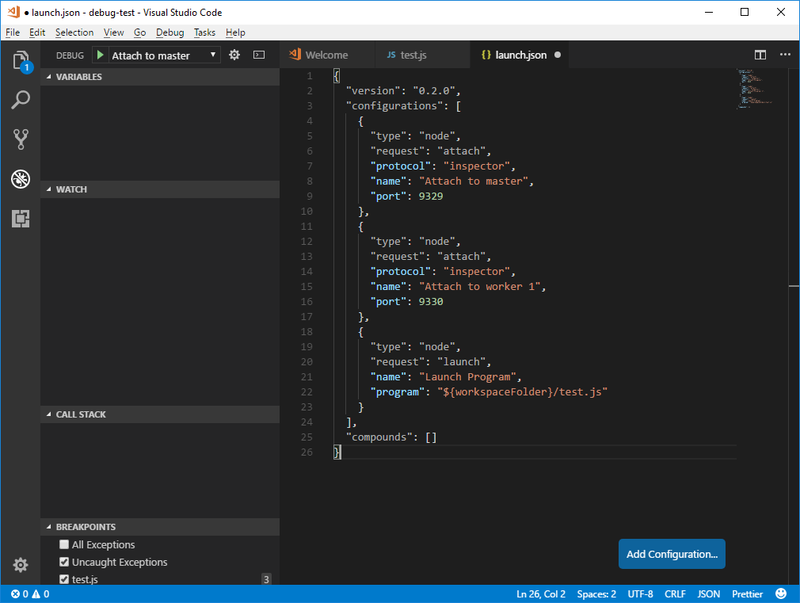 Also notice on the left in "loaded scripts" that our node.js script is loaded and running. 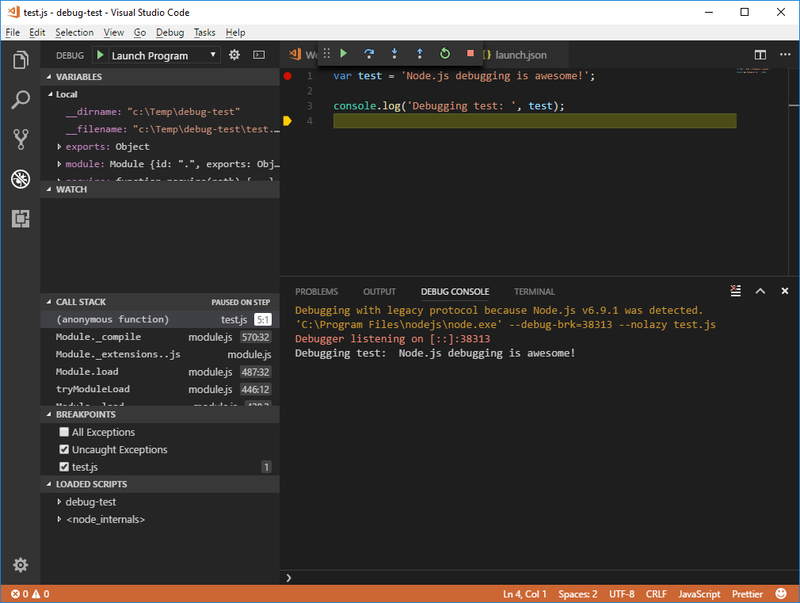 This is the "standard" way of debugging a Node.js application server - @code is by default using the standard "debug" protocol built into Node.js. You see the code is stopped at the first line (because we used the "debug-brk" flag) and we can debug again as usual. Output is appearing in our commandline window now. You see the debugger is attached too. 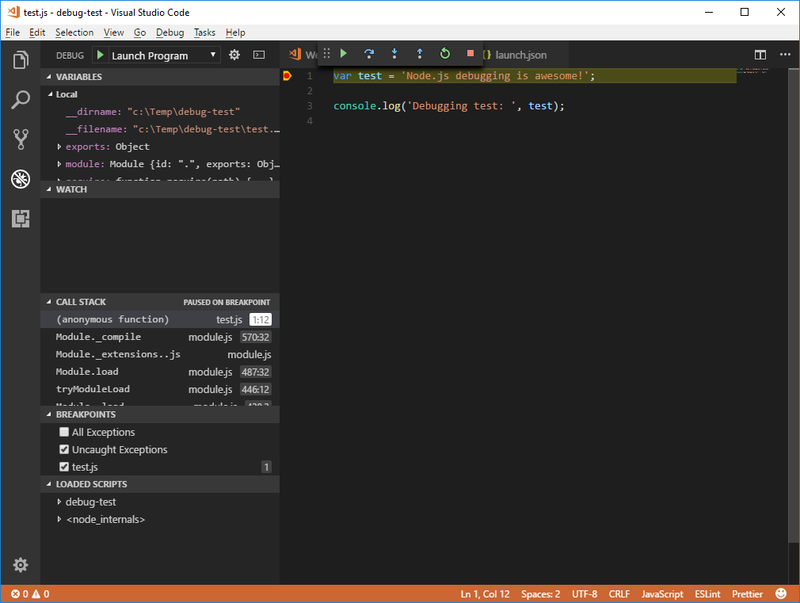 When finished, disconnect the @code debugger with the rightmost icon in the debug toolbar. 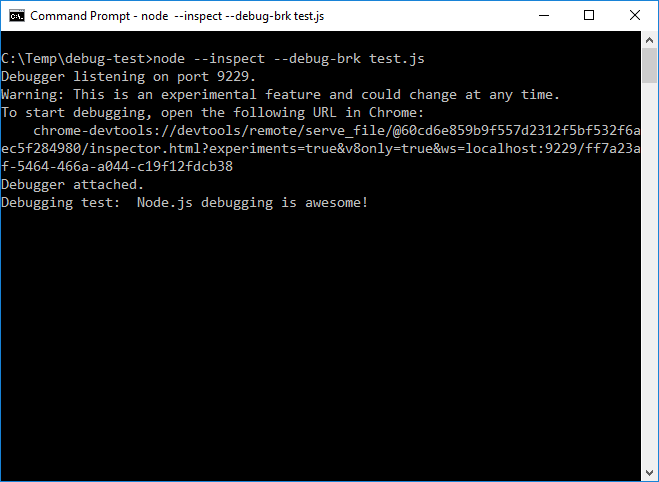 The node.js process in your commandline window will stop as soon as the @code debugger has disconnected. As each child process has it's own debug port, you'll no longer get "Unable to open devtools socket: address already in use" errors when forking child processes with debugging options. FYI, if you use the Node.js cluster module in your applications, each forked worker will get it's inspectPort incremented automatically. The cluster module fixes this for you. 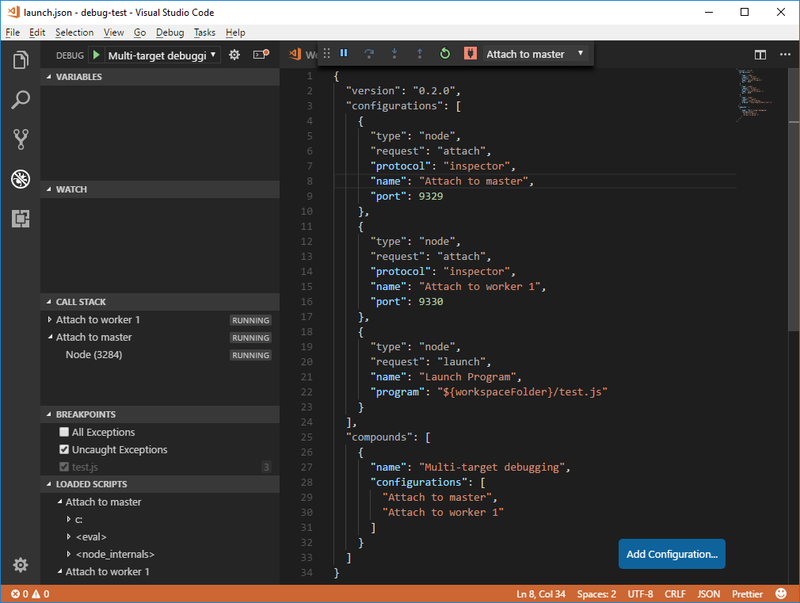 Because you want to debug these more complex situations where your Node.js application server is running a master process and multiple child/worker processes, we will use the technique above to run each process on it's own inspect port. 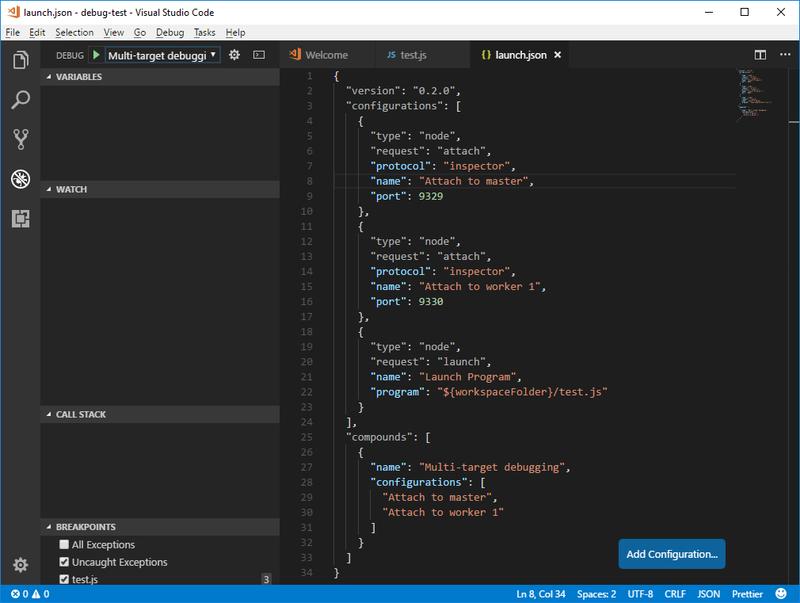 We can now easily define a multi-target debugging configuration and debug seamlessly as you do with a single-threaded server instance. 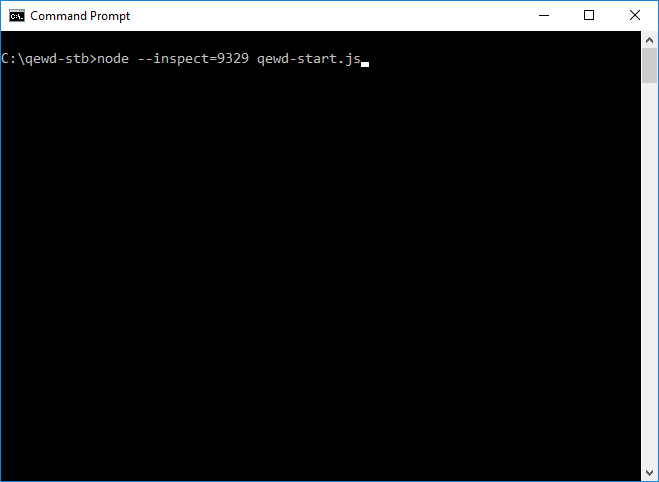 I will show here how this works with a QEWDjs back-end server as I used in my React example part 2. 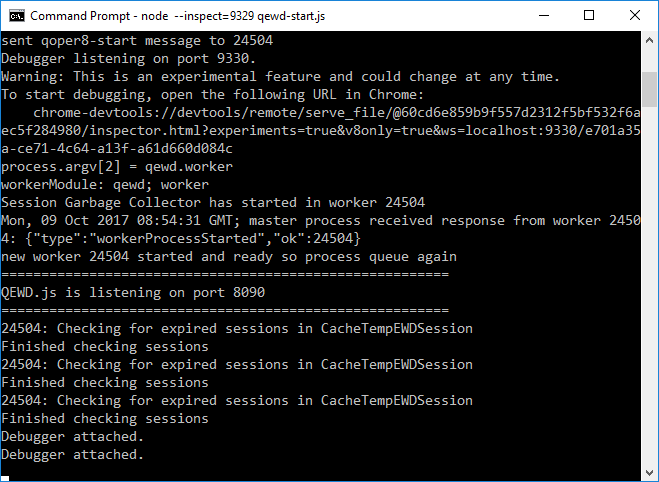 In this example, the QEWDjs server has a poolSize of 1, this means you have a single master process and one worker process. The worker processes are started on-demand by default, but QEWDjs allows you to prefork them by adding a "poolPrefork: true" parameter in your QEWD config. 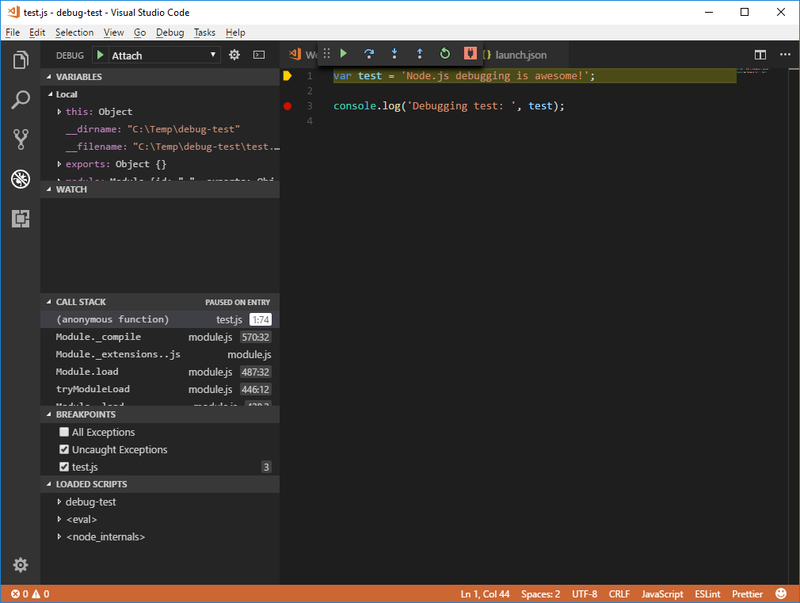 This is necessary to make sure all worker processes are running before we start debugging in @code. 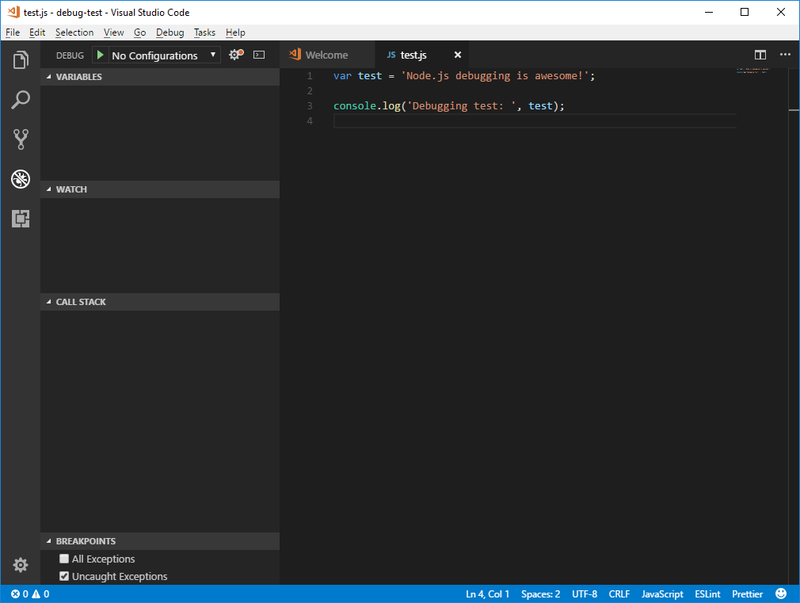 In @code, we will now define all debug configurations needed to attach to both Node.js processes. 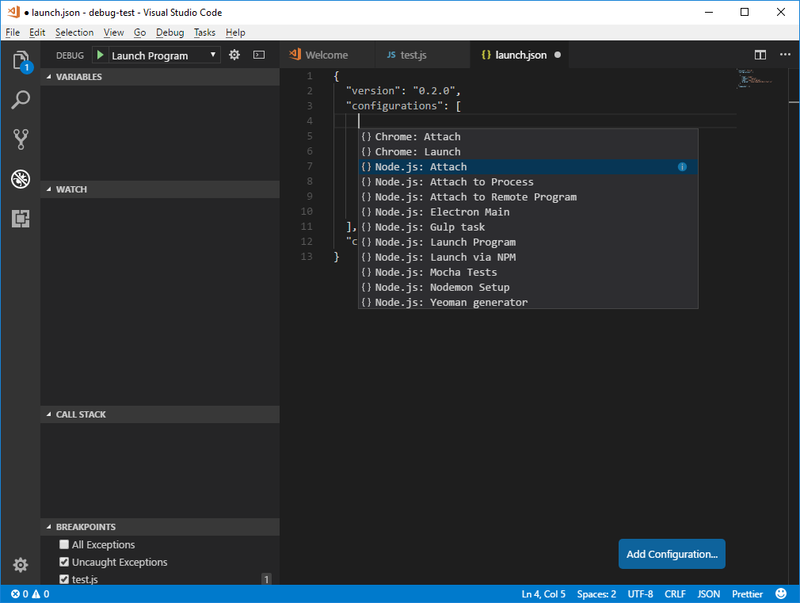 Attaching to the QEWDjs server is the way to go here because when you are using the microservices capabilities, you can have multiple QEWD server instances running on your development environment and sending the output to one single debug console in @code could become very confusing as you don't know which instance output is coming from. We added an "attach" debug configuration for the master process and one for the worker process (on different ports). 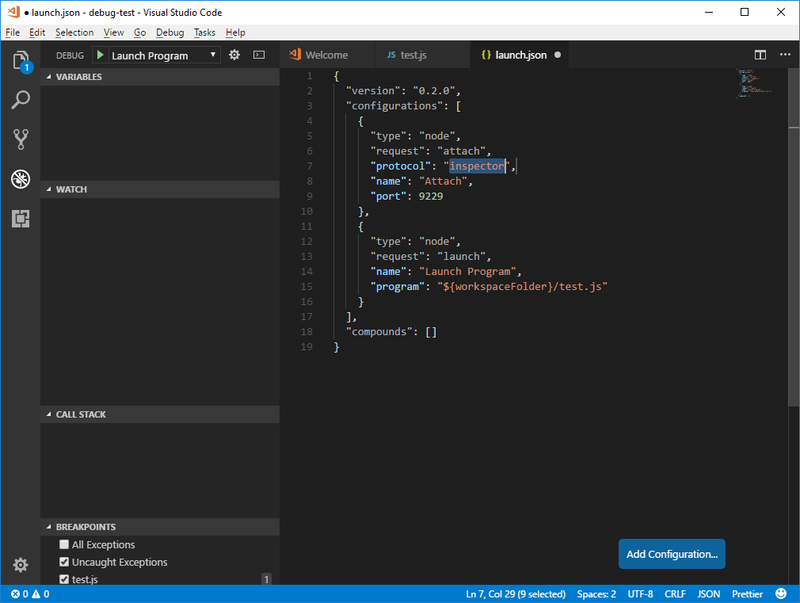 You'll notice a difference at the left side: you see multiple processes running now on the call stack and in loaded scripts. 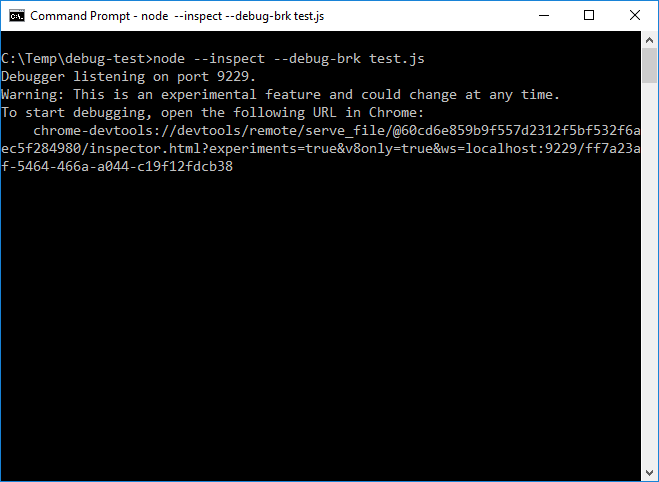 To stop debugging, you'll need to disconnect all debug connections (you'll have to click "disconnect" in the top toolbar as many times as you have Node.js processes). Just add more debug configurations and compounds accordingly and you can debug as many processes simultaneously as you like! QEWDjs takes care of assigning debug ports correctly to each worker started.